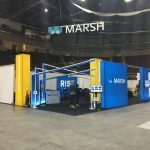 Ensuring a return on investment is essential for any growing company, especially for those designing a trade show booth for upcoming events. Many, however, find it difficult to realize a lasting return on the money spent on their displays. Fortunately, our team at Best Displays & Graphics has many years’ experience in helping clients achieve their trade show marketing goals. 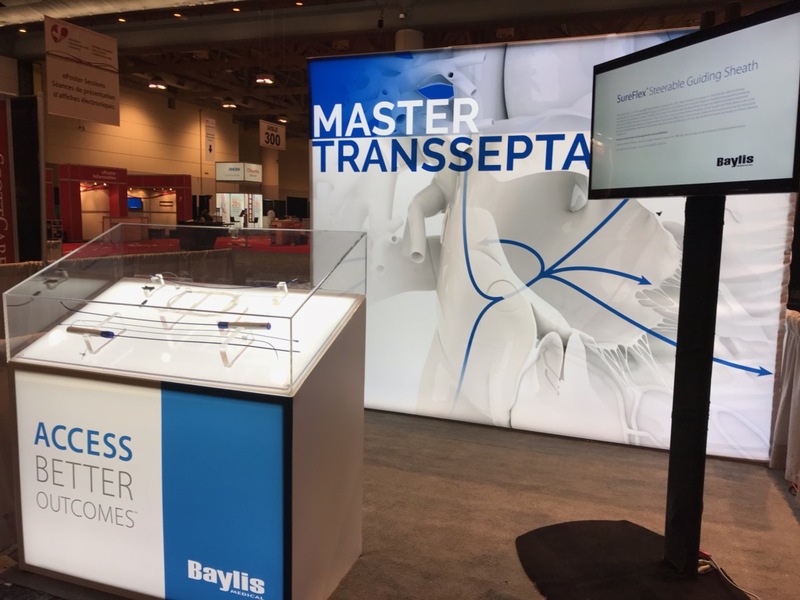 Let’s explore how to get the most out of your trade show booth design. Take the time to welcome all event visitors. 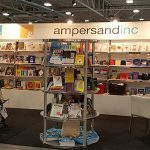 A simple hello is a great way to ensure your booth, brand and services capture the attention of each passerby. Engage visitors in a conversation to initiate the lead generation process. Even if you don’t make the sale immediately, you’ve succeeded in generating brand awareness while providing them with contact information for later discussions. 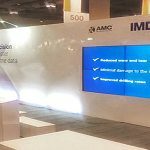 Video presentations are one of the easiest ways to draw attention to your booth at upcoming events. Make sure you have fresh and engaging videos on hand and that the video content displayed connects with your brands marketing objectives. You should also have access to digital content that integrates with your video marketing for a comprehensive event marketing strategy. 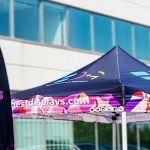 Hoping to leave a lasting impression on event attendees? Giveaways may be just the key. If your budget allows, consider investing in promotional branded items such as pens, tote bags or water bottles. Otherwise, be sure to bring plenty of literature to hand out to make sure your business is remembered after the show ends. 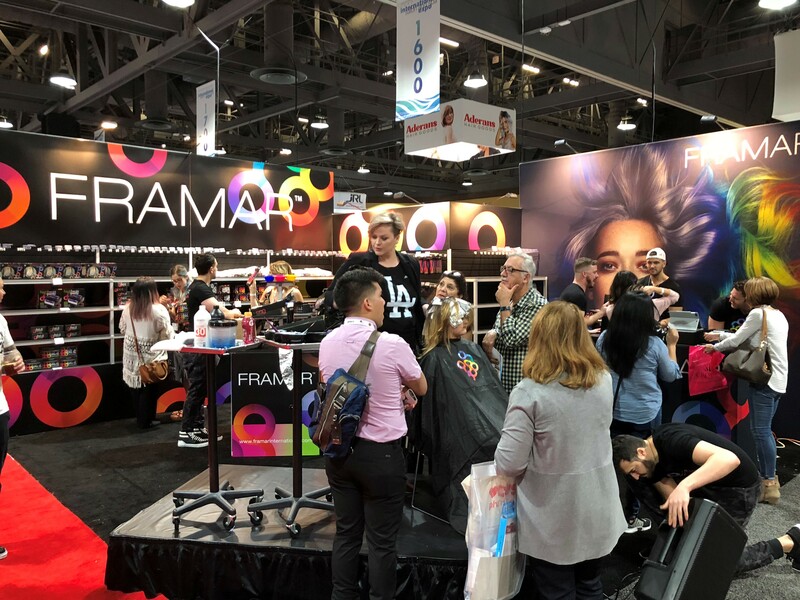 To build your event appeal, and make your booth a can’t miss, provide your audiences with access to exclusive show offers. Consider offering products at a reduced price for those that visit on event day or provide a time sensitive promo code for attendees only. Endorse these special offers through social media promotions to attract more visitors to your trade show booth. 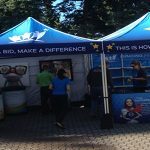 By combining these techniques with a top trade show booth design your company is bound to stand out in the crowd. To learn more about the latest design options for your trade show booth, call our experienced team today.